A Philadelphia wrongful death attorney is needed when a family member’s death is caused by the negligence or recklessness of another person or company. In such cases, the family members of the deceased can file a wrongful death lawsuit against the responsible parties. Sadly, over 130,000 people die each in the U.S. as a result of preventable fatal accidents according to the Centers for Disease Control and Prevention. Our Philadelphia wrongful death attorneys are here to help. Losing a loved one is very difficult. There is probably no experience worse than losing a family member. Our Philadelphia wrongful death lawyers understand the emotional trauma involved with such a grave loss. The Trapani Wrongful Death Law Firm is here to help your family deal with all their current emotions of: grief, feeling violated, anger and financial stress. Our job is to immediately begin the evidence preservation process so that you can focus on mourning your lost loved one and taking care of your family – while knowing that the Trapani Wrongful Death Law Firm is tirelessly representing you and your family. We take great pride in our local Philadelphia reputation and encourage you to checkout some of our online reviews here. If you are looking for an experienced Pennsylvania wrongful death attorney to represent you and your family, you have found the right law firm. Our fatal accident lawyers have an incredibly high success rate representing families in wrongful death lawsuits stemming from fatal car accidents, gas explosions, Philadelphia nursing home abuse, fatal pedestrian accidents, semi truck accidents and fires. Our promise to you is that we will work tirelessly to ensure the justice your loved one deserves. Our Philadelphia wrongful death lawyers offer completely FREE consultations and there are absolutely no legal fees until we win you case. After a fatal accident, preservation of any and all evidence is crucial. If the responsible party is savvy, they may try and erase critical pieces of evidence. Unfortunately, we’ve experienced this first hand in the past. Our wrongful death attorneys work with a team of private detectives who will drop everything and begin an immediate investigation, collecting evidence, taking witness statements and sending out evidence preservation letters. If you’re reading this because you’ve recently lost a loved one, please pick up the phone and call the Trapani Wrongful Death Law Firm at (610) 351-2330. Our Philadelphia wrongful death lawyers are ready to help anytime, day or night. The Trapani Wrongful Death Law Firm has recently won several wrongful death lawsuits. Our lawyers have represented families who have suffered from gas explosions, tractor-trailer accidents and fatal pedestrian accidents. Our wrongful death attorneys have collected Millions of dollars in financial compensation to help families get back on their feet after a tragic accident. While no amount of money can undo the harm of a fatal accident, we hope our efforts will protect our local community from future Philadelphia wrongful death lawsuits. Although no amount of money or financial compensation can make up for the devastating loss of a loved one, the wrongful death lawyers at The Trapani Wrongful Death Law Firm will fight to hold all liable parties responsible. It is our goal to provide all of our clients with the legal support necessary to obtain the financial and emotional compensation they deserve. Additionally, we handle medical malpractice wrongful death lawsuits, along with childbirth wrongful death lawsuits in Philadelphia, PA. Helping you and your family receive justice concerning your Philadelphia wrongful death lawsuit is our only priority. We know that losing a loved one due to another’s negligence can cause a great deal of distress for any family. That is why we strive to hold the responsible company or individual accountable in the swiftest way possible. Our Philadelphia lawyers are ready to help you pick up the pieces and will help you gain closure by holding all liable parties responsible. We’ll let you decide if you want to pursue a swift wrongful death settlement or litigation and a wrongful death jury trial, in order to best protect your family. The best wrongful death lawyers in Philadelphia have the ability to communicate with financial institutions, insurance companies and corporations. Simply put, large corporate entities respond to law firms in a timely fashion. Our lawyers will get you the answers you’re searching for. Contacting a Philadelphia wrongful death lawyer will start the investigation process where we will obtain facts and evidence necessary to win the maximum compensation due to your family as the result of your tragic loss. An experienced Philadelphia wrongful death attorney will gather all the information necessary and walk you and your family through the legal process and inform you of your legal rights and options. Our attorneys treat every client with compassion and our Philadelphia wrongful death lawyers are there to listen during this emotionally devastating time. At the Trapani Wrongful Death Law Firm, you can be sure to find an experienced attorney who understands the complexities and difficulties in your Philadelphia wrongful death claim. Wrongful death is a legal term that refers to the death of a person caused by the negligence or recklessness of another person, governmental entity or company. Pennsylvania personal injury law provides for a civil cause of action for wrongful death by virtue of its Pennsylvania Wrongful Death Act, 42 § Pa.C.S. 8301. This legal statute provides that the personal representative of a deceased person may bring a wrongful death lawsuit for the benefit of the surviving family members to recover damages against the entity or person responsible for the wrongful death. Our experienced wrongful death lawyers in Philadelphia at the Trapani Wrongful Death Law Firm are here to help guide you and your family through the complex legal process. Wrongful death damages in Philadelphia and across Pennsylvania can be complicated. There are two potential claims available – a Wrongful Death Claim and a Survival Claim. An experienced Pennsylvania wrongful death lawyer can help explain both available claims. In a Philadelphia wrongful death lawsuit, the spouse, children and/or parents of the deceased can bring an action to recover damages they’ve sustained as a result of the wrongful death accident. These damages include, medical expenses, funeral expenses, lost wages that would have been contributed to the family, loss of companionship that the spouse and the deceased’s children would have received along with any punitive damages, according to the Pennsylvania Wrongful Death Act, 42 Pa.C.S. § 8301. In a Philadelphia survival action, the decedent’s estate is substituted for the decedent. In this type of survival action, the estate has the right to bring a claim for the negligent or reckless act that caused the fatal accident. Here the estate may recover damages for pain and suffering and lost wages over the deceased’s life span, according to the Pennsylvania Survival Act, 42 Pa.C.S. § 8302. In most circumstances, it is best to have an experienced Philadelphia wrongful death lawyer review all available legal actions. Our fatal accident lawyers have a proven track record of success and a great reputation with all of our former clients. We’ll help get your family back on their feet. Who Can File A Wrongful Death Lawsuit In Philadelphia PA? The “personal representative” of the deceased’s estate must file the Philadelphia wrongful death lawsuit. This representative is typically outlined in the victim’s will. If there is not a will, the court may assign a representative. The Philadelphia wrongful death case is filed on behalf of the beneficiaries of the victim’s estate. In Philadelphia PA, these beneficiaries are limited to the children, spouse or parents of the victim according to Pennsylvania Wrongful Death Law. A wrongful death beneficiary analysis can be complex. In such circumstances, it is best to have an experienced Pennsylvania wrongful death attorney analyze the facts. If you have lost a loved one, our Philadelphia wrongful death law firm would like to help. Please call us today for a free consultation and we’ll help explain all of your legal options, including the process of beginning a Philadelphia wrongful death lawsuit against the responsible party. An experienced Pennsylvania wrongful death attorney is available anytime day or night for your phone call. When it comes to fatal auto accidents our local Philadelphia County experience is extremely valuable. Our local wrongful death lawyers drive the Philadelphia roadways like Broad Street, South Street, Spring Garden St. and Fairmont Ave. Additionally, our commutes to nearby courthouses give us the utmost familiarity with Interstate 95, the I-76 Schuylkill Expressway, the I-476 Blue Route, I-276 and Interstate 676. The top wrongful death lawyers in Philadelphia will work with a team of medical experts, car accident reconstructionist engineers and financial experts to ensure the highest compensation available to you and your family. Unfortunately, varying on the Philadelphia weather, we’ve seen a very high number of fatal car accidents on the Schuylkill Expressway and I-95 due to fatal semi truck accidents. Our Philly wrongful death attorneys will meet your family at any of the local Philadelphia hospitals, if that is more convenient for you. We’re happy to reserve a conference room at Thomas Jefferson University Hospital, the Hospital of the University of Pennsylvania, the Children’s Hospital of Philadelphia or Pennsylvania Hospital. Our relationships with each Philadelphia hospital are an asset for collecting crucial medical records for every Philadelphia wrongful death lawsuit and fatal medical malpractice lawsuits. Additionally, if you are flying into the Philadelphia airport, we’re more than happy to rent a conference room within the Philadelphia airport for a meeting. Moreover, if you’re looking for a wrongful death lawyer near me, we are happy to meet you at your home or residence. Your convenience is our number one priority. Call us today. 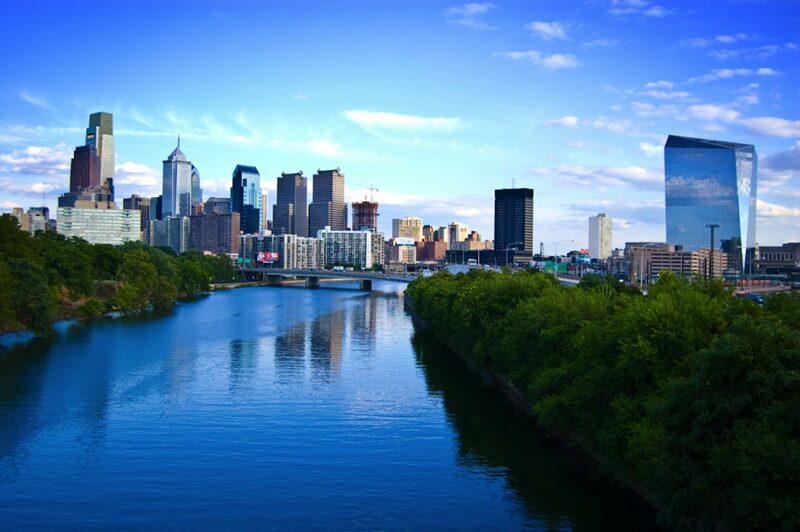 Our national wrongful death attorneys are extremely familiar with the city of Philadelphia, which is crucial when picking a Philadelphia County jury for trial. The Trapani Wrongful Death Law Firm is proud to offer legal internships with Temple University, University of Pennsylvania, Drexel University and Penn State University. The wrongful death lawyers at the Trapani Wrongful Death Law Firm spend much of our time litigating Philadelphia wrongful death lawsuits. When he’s not litigating cases, attorney Trapani is a passionate supporter of the Philadelphia Eagles 2018 Super Bowl champs where they lead Philly Philly with the Philly special, Philadelphia Phillies, Philadelphia Flyers, Philadelphia 76ers and the Philadelphia Union. Additionally, there is no bigger Philadelphia cheesesteak fan around and we love trying all of the local Philadelphia restaurants. There isn’t a Philadelphia zip code that our lawyers are not familiar with. All of the aforementioned local experiences are a proven asset when it comes time to pick a Philadelphia County wrongful death jury. Moreover, our trial preparation cannot be outmatched and we will not be outworked. At the Trapani Wrongful Death Law Firm, our lawyers offer a gentle, yet aggressive methodology to families who have lost family members in Philadelphia wrongful death accidents. Our Philadelphia wrongful death lawyers understand your life has changed forever. Our Philadelphia wrongful death law firm is committed to seeking justice against the responsible parties and companies. Call us anytime for a free Philadelphia wrongful death lawsuit consultation in Philadelphia PA on anywhere in Pennsylvania. We’re here to help guard against future Philadelphia construction accident wrongful death occurrences. The wrongful death statute of limitations in Philadelphia Pennsylvania provides that “an action to recover damages for injuries to the person or for the death of an individual caused by the wrongful act or neglect or unlawful violence or negligence of another” must be started within two years. 42 Pa.C.S. § 5524(2). This two-year period begins “from the time the cause of action accrued.” 42 Pa.C.S. § 5502(a). With Philadelphia wrongful death lawsuits, the statute of limitations ends two years from the date of death. But it is imperative to note that for a survival action, the statute of limitations ends two years from the date the fatal accident occurred. The survival action is the claim made by the deceased’s survivors on behalf of the deceased. Call an experienced Pennsylvania wrongful death attorney to discuss the facts and circumstances surrounding your loved one’s wrongful death accident. Oftentimes a Philadelphia wrongful death statute of limitations analysis can be complex. In that situation it is best to have an experienced wrongful death attorney analyze the facts and circumstances. If you have lost a loved one, our Philadelphia wrongful death lawyers would like to help. Call us anytime for a free consultation at (610) 351-2330. We’d like to help you understand all of your legal options. We are happy to meet in person or discuss your options over the phone. Call our Pennsylvania wrongful death law firm anytime for a free consultation. Previous clients have asked about the possibility of a wrongful death settlement rather than litigation and a Philadelphia County jury trial. The direction of a Philadelphia wrongful death lawsuit typically depends on many fact specific elements. Ultimately, these decisions are made as a “team.” Our Philadelphia wrongful death attorneys will spend a great deal of time going over every option available and our clients will make a very knowledgeable decision after hearing our advice. These choices are always up to the client and it is our job to make sure they have each bit of information available, in order to make an informed decision. Our lawyers take great pride in working as a “team” with our clients. Our Philadelphia wrongful death lawyers will work with you every step of the way to ensure just compensation for you and your family. Our Philadelphia mesothelioma asbestos death lawyers can help your family recover compensation from an asbestos wrongful death lawsuit in Philadelphia. Call us today for a free Philly asbestos wrongful death consultation. Our Philadelphia Pennsylvania wrongful death lawyers are happy to travel to make home visits or hospital visits to: Haverford PA, Lansdale PA, Norristown PA, Newtown Square PA, Delaware County PA, Philadelphia County PA, Northern Liberties PA, Conshohocken PA, King of Prussia PA, Plymouth Meeting PA, Upper Darby PA, Center City Philly, Chinatown Philadelphia, Fishtown Philly, Germantown PA, Kensington Philadelphia, Manayunk PA, North Philadelphia and Northeast Philadelphia, Port Richmond, Roxborough, Schuylkill, South Philadelphia, Camden NJ, Spring Garden Philly, University City Philly, West Philadelphia, Wissahickon, Fairmount, Old City Philadelphia, Passyunk Square, Graduate Hospital, Rittenhouse Square, Point Breeze, Pennsport Philadelphia, Queen Village, Chester County PA, Montgomery County PA and Bucks County PA.
One of the hardest tasks for a Philly Wrongful Death Lawyer is determining the value of a wrongful death case. What we can tell you is the lawyers at the Trapani Wrongful Death Law Firm will apply our understanding of previous claims we have worked on, along with the past history of Philadelphia wrongful death lawsuits, to determine a fair and just “settlement zone.” Additionally, we must figure out the dollar amount that we should ask a jury to award. Those financial values are often different. We can promise that our Philadelphia wrongful death attorneys will work tirelessly to ensure that any attempt by an Insurance company to offer a “lowball” financial amount will be met with well thought out legal strategy and strong negotiating advice. Our Philadelphia Mesothelioma Attorneys are here to help. Philadelphia mesothelioma cancer claims several Philadelphia wrongful deaths per year. Exposure to Philadelphia Asbestos typically causes a mesothelioma diagnosis or lung cancer asbestos exposure in Philly and eastern Pennsylvania. Asbestos is a combination of naturally occurring silicate minerals. Types of Mesothelioma include: Peritoneal Mesothelioma, Pleural Mesothelioma, Pericardial Mesothelioma and Testicular Mesothelioma. All forms of Mesothelioma are terminal and can cause a Philadelphia wrongful death lawsuit. Our Philadelphia mesothelioma lawyers are prepared to file both a Philadelphia wrongful death lawsuit and a Philadelphia mesothelioma lawsuit on befall of you and your loved ones. We will aggressively purse Philly mesothelioma settlement litigation and a Philadelphia asbestos jury trial in Philadelphia County. The U.S. Environmental Protection Agency (EPA) has cited a number of factories throughout Philadelphia Pennsylvania that exposed workers to asbestos and mesothelioma in Philly. The most common industries found on the National Priorities List (NPL) are Philadelphia Pennsylvania shipyards, PA pipefitting, Philadelphia chemical plants, Pennsylvania landfills, PA power plants, Penn Shipbuilding, Philadelphia Naval Shipyard and the Pennsylvania Shipyard. Our Philadelphia Mesothelioma cancer lawyers are here to help get you and your family the access to the asbestos compensation fund you deserve. Mesothelioma is a fatal cancer and our Philadelphia wrongful death lawyers understand how difficult the mesothelioma lawsuit settlement process can be. Please call an experienced mesothelioma lawyer Philadelphia anytime for a free mesothelioma consultation. Our Philadelphia talcum powder wrongful death lawyers are here to represent injured individuals across Pennsylvania and the greater Philadelphia area. Talcum powder and Johnson & Johnson Baby Powder have been proven to cause ovarian cancer and mesothelioma, which can lead to a Philadelphia wrongful death. Studies have shown that frequent use of Johnson and Johnson Baby Powder or Shower to Shower increases your risk of lung cancer along with peritoneal ovarian cancer. Our Philadelphia baby powder cancer wrongful death attorneys are here to help. The attorneys at the Trapani Law Firm will help you deal with the stress and get you the financial compensation you deserve. We are committed to holding Johnson & Johnson accountable for their part in this horrible situation. Some of the most common causes of serious construction injuries and Philly wrongful death construction accidents are accidents involving falls from scaffolding and faulty ladders, falling objects, motor vehicle accidents with trucks, cranes, forklifts, dump trucks, garbage trucks and tractor-trailers, etc. Moreover, common Philadelphia workplace wrongful death accidents result from electrocution, trench cave-ins, unsafe warehouse conditions, structural collapse, utility worker falls, ironworker injury, burns and carbon monoxide poisoning. Call our Philadelphia Construction Accident Lawyers anytime for a free consultation. Our Philadelphia construction accident wrongful death lawyers have helped many victims of construction accidents and we want to help you and your family. If you have lost a family member in a construction or workplace accident, you may have lost a vital means of economic and financial support. A Philadelphia construction wrongful death lawsuit can help you receive financial compensation for your loss. The experienced Philadelphia construction wrongful death attorneys at the Trapani Wrongful Death Law Firm are here to help. Call our construction accident death lawyers in Philadelphia today for a free consultation. Our Philadelphia wrongful death motorcycle accident lawyers are here to help you and your family after a Philadelphia motorcycle injury accident. Philadelphia motorcycle accidents due to automobile speeding, sudden stops and DUI are becoming more prevalent in the greater Philadelphia PA area. An experienced motorcycle accident attorney Philadelphia can help represent you whether you were riding a BMW, Ducati, Harley-Davidson, Honda, Kawasaki, Suzuki, Yamaha, Aprilia, Triumph or KTM motorcycle in Philly. Motorcycle riders have little protection when crashing with a motor vehicle. Therefore, many Philadelphia motorcycle accidents often lead to the Philadelphia wrongful death of the motorcycle rider or passenger. Call an experienced Philadelphia motorcycle accident lawyer anytime for a free motorcycle accident consultation in Philly. We’re here to help relieve the stress that accompanies a Philadelphia motorcycle injury or wrongful death. Fires and gas explosions are one of the most destructive accidents that occur in Philadelphia. These types of Philadelphia accidents can lead to wrongful death and serious burns or other personal injuries. Philly Fires and gas explosions happen throughout Pennsylvania in all manners and under a variety of situations. Under Philadelphia, PA law, victims of fires or gas explosions that are caused by negligence are allowed to seek fair compensation against the responsible parties. Our electrocution attorneys represent victims of electrical injury and PECO power line accidents. Additionally, our Philadelphia gas explosion lawyers handle Philadelphia wrongful death lawsuits, as well as Philadelphia gas explosion injury cases. We’ll help burn injury victims get back on their feet and receive the compensation they deserve. We handle Philadelphia wrongful death lawsuits caused by propane explosions, natural gas explosions and utility company accidents such as fallen PECO power lines. Our Philadelphia medical malpractice wrongful death attorneys are here to fight for the rights of you and your family. We trust our doctors, nurses and hospitals with our lives and the lives of our family members. Should you or a loved one suffer a serious personal injury or Philadelphia wrongful death as a result of medical negligence, protect your rights by contacting our experienced medical malpractice wrongful death lawyers in Philadelphia. It is the responsibility of hospitals, doctors, nurses, and medical professionals to provide all patients with a high standard of care. When hospital staff and professionals fail to deliver proper medical care and medical treatment, it is often a matter of medical negligence or medical malpractice. Our lawyers actively handle cancer misdiagnosis wrongful death lawsuits in Philadelphia Pa. Sadly, many childbirth wrongful death lawsuits are filed in Philadelphia County each year. Our Philadelphia and Camden wrongful death lawyers and medical malpractice attorneys offer free consultations in Philadelphia and Camden New Jersey. We’re here to help get your family back on their feet. Call us anytime you’d like to discus a wrongful death cancer misdiagnosis lawsuit. The Philadelphia nursing home lawyers at the Trapani Wrongful Death Law Firm are here to help protect our elderly community. Unfortunately, Philadelphia nursing home abuse is becoming more widespread and has lead to many wrongful deaths in Philadelphia PA. Our elderly family members are easy targets for nursing home abuse. Decline in physical, mental and emotional functioning help set the stage for their victimization. Sadly, there are countless elderly citizens who must live out the rest of their lives under circumstances where they are subject to possible negligence, harassment, blatant disregard of their needs and physical abuse. Contact an experienced Philadelphia nursing home attorney to help your family review all of your legal options during a free consultation. The pain and suffering our elders endure may go unnoticed for extended periods of time. They may be too frail to speak for themselves, or they may be afraid to report the incidents due to threat of harm. This is why it is vitally important for families to maintain a watchful eye on their loved ones. By visiting a Philadelphia nursing home on a regular basis, you can judge your elder family member’s appearance and behavior better than anyone. Remember that in many Philadelphia nursing home abuse cases, you are your family member’s best advocate. If you suspect any elder care abuse, first call the appropriate authorities and then call our Philadelphia nursing home attorneys. Our nursing home abuse lawyers understand the stress you and your family are going through. Our national wrongful death lawyers represent the families of loved ones who have suffered Philadelphia wrongful death accidents while traveling on public transportation vehicles such as Amtrak train accidents, along with SEPTA (South Eastern Pennsylvania Transportation Authority) accidents like SEPTA bus accidents and PATCO train accidents (Port Authority Transit Corporation). Nothing is more traumatic than losing a loved one due to the negligent conduct of our public transportation institutions. We represent clients injured in fatal bus accidents driven by MegaBus, Greyhound Bus, BoltBus, Bieber Bus, Coach Bus, School Bus, Double-Decker Bus and Limo Bus. Unfortunately, these avoidable tragedies occur often in Philadelphia, Pennsylvania and across the country. We’re the experienced wrongful death attorney in Philadelphia that can help get you and your family back on your feet. Fallen utility lines in Philadelphia PA and unsafe construction workplaces lead to many electrocution injuries and wrongful deaths each year. An electrocution accident lawyer at the Trapani Wrongful Death Law Firm offers significant experience in helping electrical accident victims get the compensation they deserve. Our lawyers represent injured clients and families who have lost a loved one in a Philadelphia wrongful death electrocution accident. Our Philadelphia electrocution attorneys are prepared to represent families in Philadelphia wrongful death lawsuits against negligent power and utility companies, such as PECO (Philadelphia Electric Company). A Philadelphia electrocution victim may suffer electrical burns, where the current burns through bodily tissue as it courses through the victim’s body. Electrical shock can stop the heart from beating, cause muscle spasms and even stop breathing. Sometimes this can lead to falls caused by electrocution due to loss of muscle control. Sadly, wrongful death electrical injury may take place when the electrocution is so severe that it causes multi-organ failure. Our Philadelphia electrocution death lawyers are here to help any injured victims across eastern Pennsylvania. Tractor-trailer truck accidents are among the most dangerous situations on the roadway. Trucks like 18-wheelers or semi trucks cause wrongful death accidents throughout the Philadelphia area. Semi trucks are much heavier than the regular motor vehicles. The momentum of these heavy tractor-trailer trucks on the highways like Interstate 76, I-95 and I-276 is tremendous. And when these big rigs hit a smaller vehicle or pedestrian, the motor vehicle accidents can be devastating and even lead to a Philly wrongful death truck accident. Our Philadelphia semi truck accident lawyers handle wrongful death lawsuits across Philadelphia and Pennsylvania. We’ll help relieve the stress caused by a Philadelphia wrongful death truck accident. Call our wrongful death lawyers in Philadelphia anytime. Philadelphia Wrongful Death Lawyer	Overall rating:	5	out of 5 based on 10	reviews.